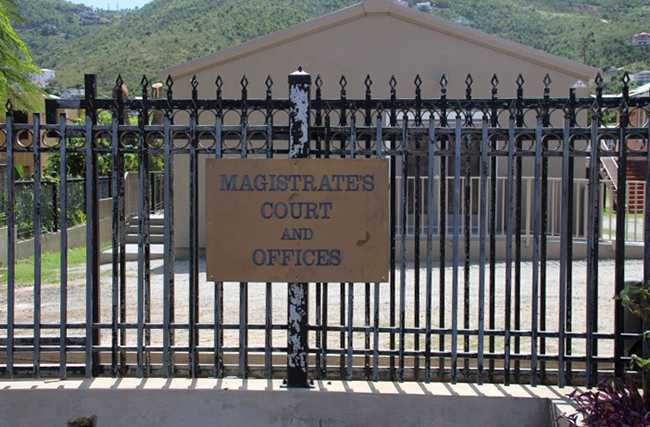 After being made to consistently come before the court for several months without any meaningful progress in her traffic matter, an unrepresented woman successfully had her case thrown out of the Magistrate’s Court last week. Sherene Valencia-Baptiste’s October 2016 matter of driving without due care and attention has seen a series of back-to-back adjournments since her first court arraignment. And prior to her latest appearance, the court had instructed the police prosecutions department that they were to be prepared to start the trial at the beginning of September. But when the September date rolled around last week, police prosecutor Roger Williams told the court he was on his final week in the department and would not be taking up the case. He told the court another prosecutor would receive conduct of the matter because it would be counterproductive if he (Williams) should start a case that he would not be able to complete. He then said the case would have to be pushed to another date. But a seemingly frustrated Valencia-Baptiste called for the court to have the matter dismissed. She said she first appeared in court on February 22 this year when she pleaded not guilty. A trial date was then set for May 3 but police prosecutors did not come prepared on that day so the matter was again adjourned to June 19. When she came to court for that June date, the Crown did not have the woman’s court file and their witness was also absent. The matter was subsequently pushed to September 3 on a final adjournment order. “I am disgusted to be coming here time after time and the last time I nearly bust my tail in the mud coming to court to get the same thing all the time,” Valencia-Baptiste said. Magistrate Giselle Jackman-Lumy – who had considered adjourning the matter for another time – subsequently agreed to dismiss the matter. The court was told that the underlying cause of police prosecutors coming to court unprepared is that many officers do not have a diary with the dates they are to appear in court. But Magistrate Jackman-Lumy said that rationale was not acceptable. “Even if they [police officers] don’t have a diary, pharmacies give free calendars when it’s Christmas time. Go and buy a pack of sweeties and keep the calendar and write it in. This can’t be good enough,” she said. Magistrate Jackman-Lumy, who is one of the newest magistrates to this jurisdiction, urged the police to do better. She said when a matter shows up on the court’s list and the investigating officer is absent or on leave, it clogs the judicial process. She further said if the court is informed prior to any vacation dates, court matters could then be properly scheduled. What the hell is this? Some third world country? It is ridiculousness that they had this woman back and forth multiple times to the court house over a traffic violations despite the other side apparently could not get their act together. How often does this happen? This is incompetence and shameful all wrapped into one! The case was rightfully dismissed. IMO, I wish this woman could be compensated for all the time she wasted missing work going back and forth to the courthouse. The court should routinely dismiss these kind of cases on the very first instance if the other side does not show up or have a good reason for an adjournment. That lady apparently did everything expected of her, but the other side was MIA. If you are going to give someone a ticket and accuse them of something, for God sake have the decency to at least show up in court prepared to defend it. How hard can that be? Wow well said couldn’t have said it better and please don’t blame IRMA these issues long before. Go and buy a pack of sweeties and keep the calendar and write it in. This can’t be good enough,” she said. LMAO! I nearly spit out my afternoon coffee!!!! I think the Governor needs to overhaul the entire RVIPF from the top ranks down to the PC’s on foot and vehicle patrol. Obviously there are many problems with the entire force as highlighted by cases such as this that are dismissed for lack of simple prosecutor preparation. This is straight up laziness and incompetence. Simpleattests running throughost the court for two years is bull nonsense. I am very embarrassed as a ex Police Officer. This could never happen when I was a serving Officer in the RVIPF, what is really going on. Those incharge of the Police Force needs to be held accountable for this ongoing emberrasing disgusting situation. COP Matthews, DCP James and Supt Vanterpool what is really going on in the Force. Maybe that is what they trying to do with my case against a police wife, knock it out and forget about my demand so she can walk free. very interesting to know. that is how they cover each other fault. I can only hope that other defendant’s will use Mrs. Valencia-Baptiste as a guideline to help them get their cases thrown out too.. Pure nonsense. Think that bad. One stopped me told me to pick up the ticket at the station the next day because she doesn’t have a ticket book. Told her go home and come back tomorrow when is she prepared to work effectively and efficiently. Have RBVIPF become entirely dysfunctional? Kudos for a few high profile murder arrests but the entire system, including traffic (except Robocop) seems to have vanished. The courts are dis-organised. If she had representation the lawyer have earned a big fee for doing nothing and most probably advised to plead to get the case out of his books.